Making their mark on the dance music scene, rising stars Loud Luxury are commemorating several major milestones — and what better way to celebrate than with a toast? New York City style. 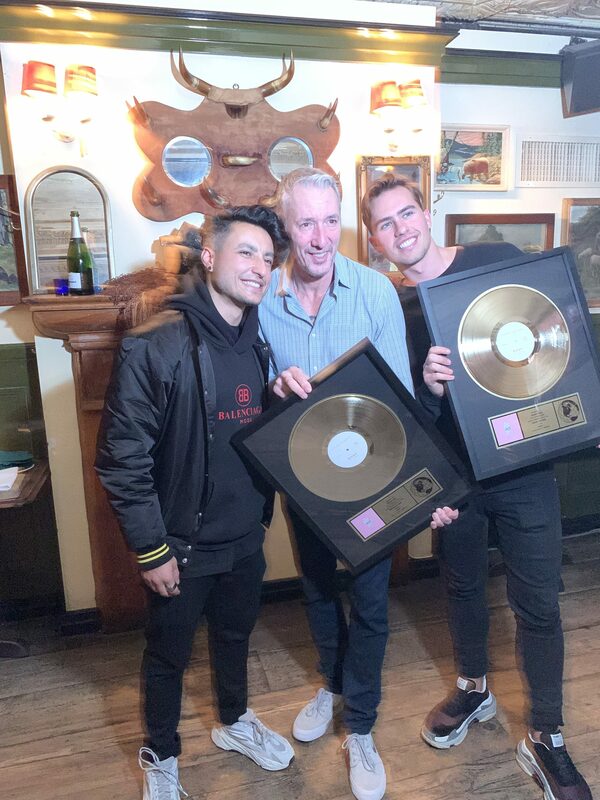 This past Monday, the guys, Andrew Fedyk and Joe De Pace — better known as Loud Luxury — were presented with plaques honoring the gold certification of their global smash “Body”, here in the US. In an intimately held event hosted by Armada Music in NYC, the Canadian duo celebrated with a select few who made the record come to life as well as some of its biggest supporters. Riding their wave of recent successes, Loud Luxury has also just inked a residency deal with the acclaimed Las Vegas-based Hakkasan Group, where they will spend 2019 performing at sought-after venues like OMNIA Las Vegas (this weekend), WET REPUBLIC, and Hakkasan Nightclub. Catch the guys during one of their upcoming Loud Luxury Las Vegas shows.